An example of American adaptability would have to be their evolving attitude towards taking responsibility for their health care. Adults is the US now ask more questions of their doctors, raising important and thoughtful issues, such as that of how long can you take testosterone cypionate safely? It appears that as the US health care system has become corporate in its focus, American adults have adapted by becoming more effective advocates of their own requirements for health. Maybe they are motivated by unsettling statistics, such as the recent findings published by the BMJ that reported medical error as the third leading cause of death in the US, placing it right after heart disease and cancer. The days of unquestionably accepting every medical opinion you are given are long over; because as our health care system has evolved, it has become apparent to most people that no one cares as much about the state of your health as you do. So if you are interested in getting tested for Low T and in using a treatment program if you are diagnosed with this condition, you should have questions about both the safety and efficacy of testosterone replacement therapy (TRT). And you should try to get answers to those questions from the doctors who have the most experience and knowledge related specifically to this type of medical treatment. Nexel Medical’s doctors are TRT specialists; and we have more extensive information and experience to refer to in answering questions like how long can you take testosterone cypionate without risk? We live and breathe hormone replacement therapy programs – it is what we studied; it is what we exclusively practice; and it is what we continue to focus all of our professional attention on by staying on top of the latest developments. So when we assure our patients of the safety of using a controlled pharmaceutical substance like testosterone cypionate over an extended period of treatment, we know what we’re talking about. We’ve reviewed the clinical findings on it; we’ve followed decades of scientific studies on it; and we have prescribed it for hundreds and hundreds of our adults patients living all across the country. While it may have taken years for your male hormone levels to drop into the clinically deficient range, it only takes a few weeks for testosterone replacement therapy to begin reversing your Low T symptoms. As the weeks of your treatment cycle continue on, the improvements you receive from using this therapy keep accruing. By the completion of a typical 6-month course of treatments, most patients are experiencing maximum benefits from their individually prescribed TRT programs. So where do they go from there? Testosterone replacement therapy is a cyclical type of medical treatment; patients use it for a predetermined period of time recommended by their hormone therapy doctors, which is followed by a period of time without using treatments. Intermittent blood testing is performed both during treatment periods and during off-treatment periods, which allows doctors to both monitor the progress of their patients’ hormonal restoration and monitor them for any potential causal effects of their treatment use. This is how they determine how long can you take testosterone cypionate safely on a patient-by-patient basis; because even though they know that TRT has been statistically shown to be low-risk, it is essential to monitor and evaluate the effects of therapy on each patient individually. So what you and all patients can expect when using injectable testosterone cypionate or any other form of medically prescribed Low T therapy program – and your therapy is being managed by a highly qualified and responsible TRT doctor – is to receive ongoing health benefits and ongoing safety, as verified by ongoing clinical testing. There are many unsafe ways to use a pharmaceutical substance like bio-identical testosterone; don’t risk your health by trying any of them. The only safe and legal way to use male hormone replacement therapy is under the guidance of licensed physician who has expertise in this specialized field of medicine. The reason that our Nexel Medical doctors prescribe testosterone cypionate for the majority of our patients can be explained in one word: results. Every form of therapy that exists in medicine has measurable results as its goal and across all significant therapeutic criteria for TRT, this is the specific form of Low T treatment that consistently delivers the desired results to our patients. It effectiveness as a preferred treatment option is matched by its affordability, which is important to us because we are aware that many of the medical insurance plans that American adults now have place restrictions and limitations on the conditions for which they will cover the cost of using testosterone replacement therapy. It is highly likely that this is derived, at least in part, by the answer to how long can you take testosterone cypionate and the other doctor prescribed medications for TRT safely – health care insurers know that these are treatments that patients will be using long-term. In other words, their bottom line comes first and what patients require comes after that. We don’t play those kinds of games at Nexel Medical. 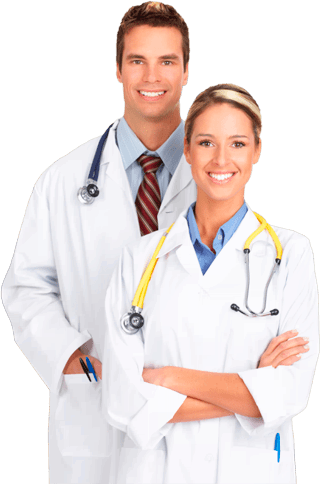 Our doctors are fully licensed medical professionals who are focused on only one thing, and that is providing symptoms relief and greater vitality to our testosterone deficiency patients. Whether they have health insurance coverage for TRT or not, the cost and the quality of their treatment programs are going to be exactly the same because we don’t bill insurance companies. However, we are happy to provide patients who do have coverage with the documentation they will need to submit for reimbursement from their insurance providers. Adults who want to maintain healthy male hormone levels can take testosterone cypionate for the rest of their lives, as long as they continue to follow the recommended medical protocols regarding its safe use. And many of patients want to do precisely that, because they never want to go back to the way they were feeling due to an untreated condition of testosterone deficiency.